September is Childhood Cancer Awareness Month! In honor of this, RaceTrac gas stations are doing Coffee for a Cause at all of their Georgia stores! From Sunday, September 23 through Saturday, September 29, all funds from coffee purchases will go to Camp Sunshine, which provides support programs for children fighting cancer and their families. You can add $1 to your purchase at RaceTrac all month Race Trac will donate the proceeds from their coffee bar to Camp Sunshine!! Please be sure to stop by RaceTrac in September. 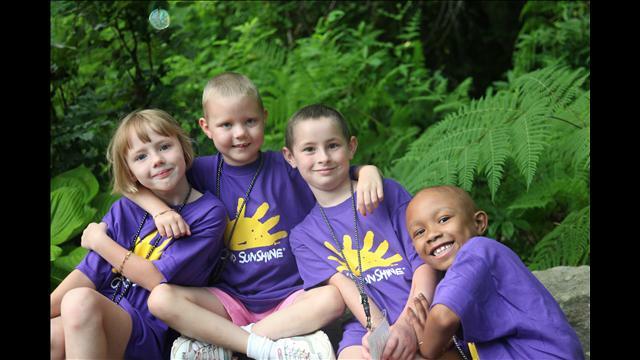 Photo by 11Alive News via My Camp Sunshine.